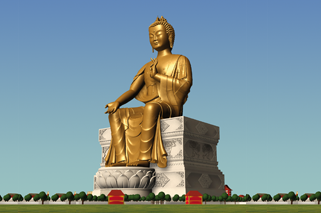 A magnificent Maitreya Buddha statue is planned for construction in Kushinagar, Uttar Pradesh, India. After many years of work, artistic, and engineering renderings are complete. The site has been handed over by the Government of Uttar Pradesh, the external borders of the site have been marked, and a site office has been established. Technical site investigations have been commissioned, and Stup Consultants has been appointed as our architect. In addition, work is in progress to establish a visitor experience center. The site adjoins the Parinirvana Temple which denotes the place where Shakyamuni Buddha passed into Parinirvana. Why Buddha Maitreya & Why Kushinagar? The Maitreya Project was the inspiration of Lama Thubten Yeshe (1935-1984), the co-Founder of the Foundation for the Preservation of the Mahayana Tradition. 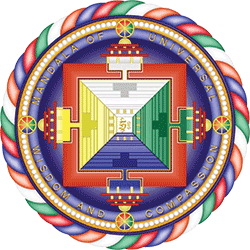 In the Buddhist pantheon, the historical Buddha Shakyamuni is considered the 4th of eventually 1,000 Buddhas who will manifest on this earth and each of whom will initiate a cycle of spiritual teachings. Maitreya Buddha is predicted to be the 5th Buddha who will appear on earth. 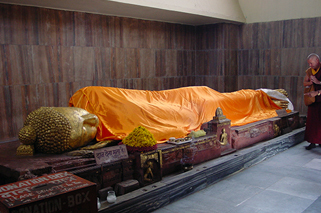 According to ancient textual reference, Kushinagar is the place where Maitreya Buddha will manifest. Follow All Recent & Coming Activities and Plans! The new basic layout for the Maitreya Statue has now been decided and approved by the Spiritual Director, Kyabje Thubten Zopa Rinpoche. Marginal changes will be made over time as the plans are further refined. The layout of the park is under development. The first phase of the site and reception office has been completed and soon the Maitreya Project experience center will be opened. The surveying and the marking of the external boundaries have been completed. In April and May of this year, world-renowned feng shui master Joey Yap made detailed recommendations for the placement of the statue and the fundamental layout of the site. In March of this year, a team consisting of executives from the Maitreya Project, supported by senior managers of the Government Advisory Division of Yes Bank, held a meeting with the District Magistrate and all his officers, along with members of the media in which the new plans of the project were announced, and much more! >READ ALL THE LATEST NEWS ABOUT THE PROJECT NOW! The Maitreya Buddha Project Kushinagar is a socio spiritual charitable trust registered with the Government of India in 2003. Our resources are dedicated towards our statue project and other social activities. Peace is our responsibility — only when the cause, loving kindness, exists within every person’s heart and mind, can peace become attainable. 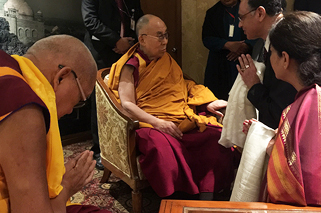 As the cause of peace (loving-kindness) spreads to more and more people, world peace will become attainable.